Hello there everyone! 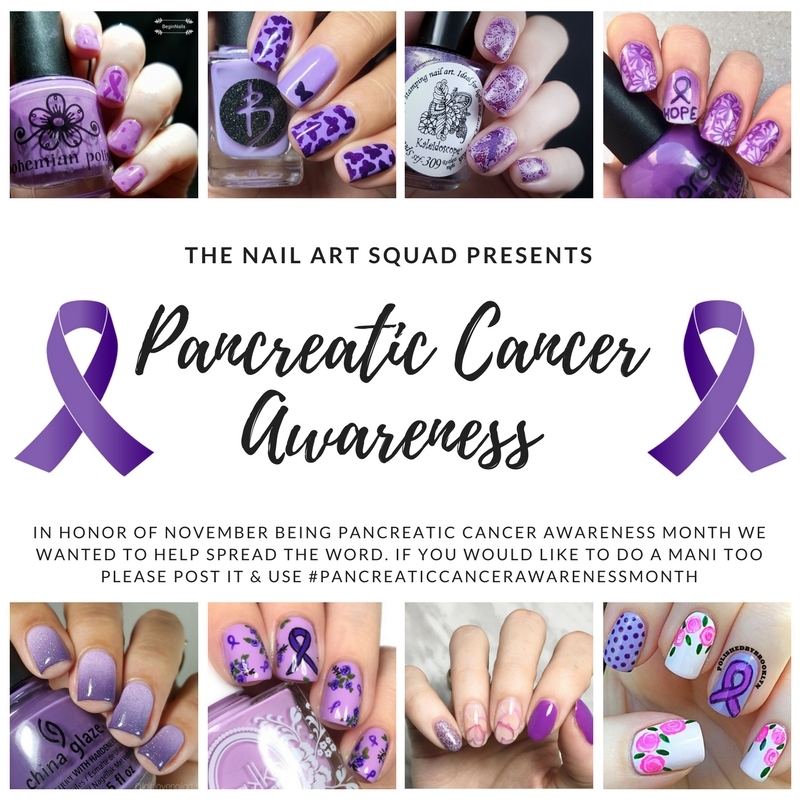 If you have been following me over the past so many years you probably already know that every November I do nails in honor of Pancreatic Cancer Awareness Month. Pancreatic Cancer is one of the worst Cancers as well as rare and very hard to cure so I find it important to bring it to light every year in the month that is dedicated to it. Today the Nail Art Squad and I are all posting nails in honor of it too so lets take a look at todays nail. For my nails I wanted everything to be purple so I went with a light purple as my base. I used Takko Lacquer Tea & Cakes which is just the best light purple polish probably ever! Then all of the details were done with acrylic paint and was all free handed. There are little ribbons all through out the mani if you look around the flower clusters you can see the mini ones in addition to the large one. A few weeks ago I used a vinyl to create a ribbon but this time I just free handed it which is fairly simple. I would suggest painting it in color first and then go outline it later. Beautiful cause and such a classy and elegant look. Thank you! It means a lot for this one! Your flowers are so delicate a sweet! <3 Love it! You always hit it out of the park with your floral designs. 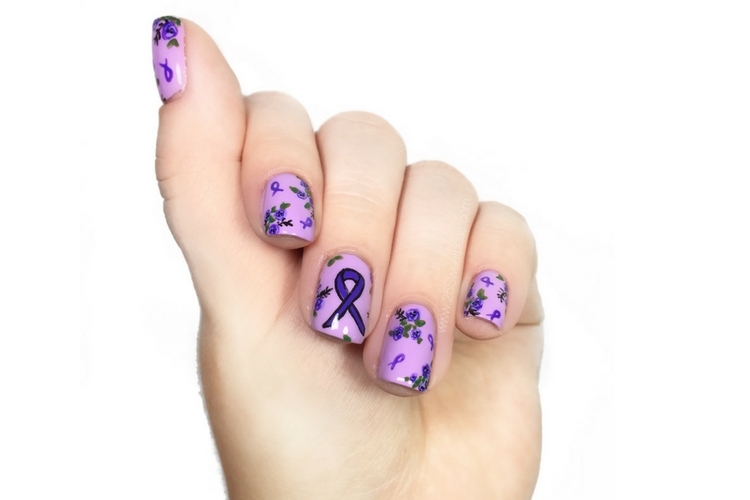 Beautiful mani for a great cause! Thank you for spreading awareness! I try when I can, every little bit helps right! What a great way to spread awareness and support. I love how your flowers came out and purple really is my favorite color.